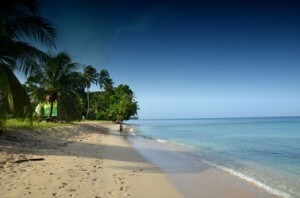 Planing your holiday evenings out in Barbados needn’t be difficult. Let us help. You don’t need to worry about directions, driving, taxis or anything stressful at all. That’s not what your holiday is for! We can pick you up, take you to some some of the iconic, ‘must-see’ local places, wait for you and bring you safely back home after a great night out. It’s the perfect solution, you can relax and enjoy the rum punches without having to worry about getting behind the wheel, or what time to tell the taxi to pick you up. Take a look at our suggestions for two great fish-fry destinations. A really good place to eat in Barbados is Carizma on the Hill, the restaurant based at the exclusive Sugar Hill Resort in the parish of St James – on the west coast. Not only is Carizma within the fabulous grounds of Sugar Hill frequented by the well to do and famous (as well as us ordinary folk! ), the view is magnificent and the menu extensive and affordable. The restaurant is open to everyone and access is easy. You will see their signs from the road.